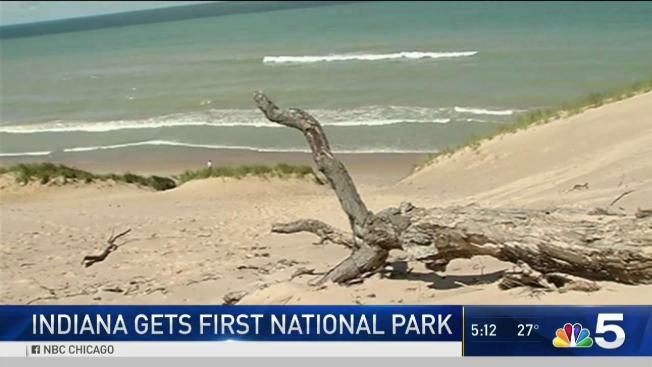 The Indiana Dunes National Lakeshore is now a national park, thanks to a funding bill signed by President Donald Trump. Indiana Dunes National Lakeshore no more: It's now a national park. Language retitling Indiana Dunes as a national park was included in the omnibus appropriations legislation signed into law by President Trump on Friday. It is Indiana's first national park. The bill had the support of the entire Indiana congressional delegation. Rep. Pete Visclosky says the 15,000-acre park along the southern shore of Lake Michigan in northwestern Indiana gives the shoreline the recognition it deserves and will enhance the region's economy. The national lakeshore was established in 1966. There's also an Indiana state park in the area.